A tax-deferred exchange can potentially facilitate significant portfolio growth while also increasing returns on investment. However, there are special rules that are used to determine eligibility and the entire process needs to managed to ensure that “depreciation recapture” does not occur. When this happens, gains are taxed as ordinary income at a much higher rate. If you are considering a 1031 Exchange, download our simple 12 step checklist to help guide you through out the process. You are aware that if you have a profit on an investment property that you are planning on selling, you will most likely be subject to capital gains tax. Taxes can be north of 35% depending on what state you live in. Under current policy there is no limit to the amount of 1031 exchange’s you can facilitate. 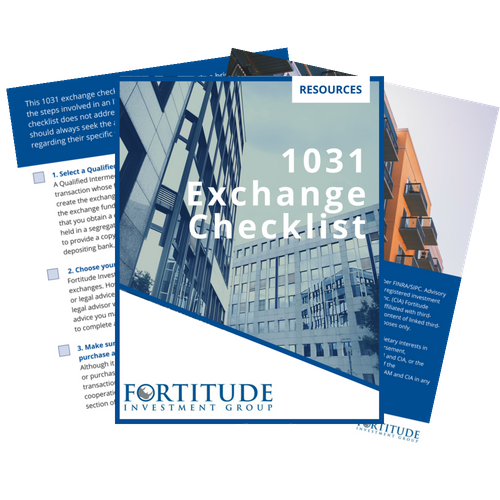 Download YOUR 1031 Exchange Checklist NOW!